Wow, this is pretty much the best save-the-date ever. By Office Optimist, via For Print Only via Simple Song on twitter. 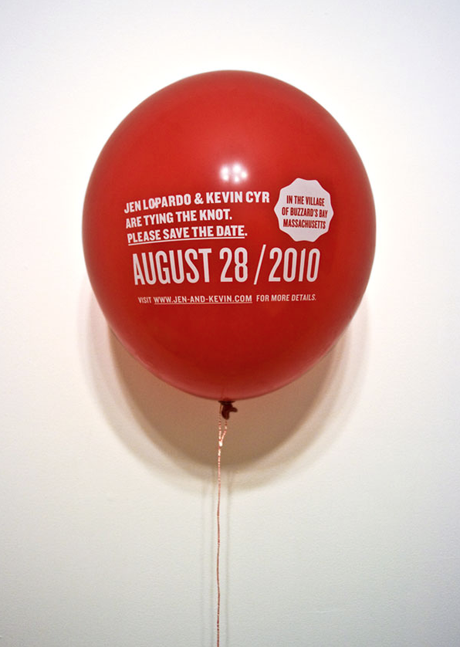 A quick Google search found this company that prints 50 custom balloons for around $50. Not cheap, but not ridiculous either. 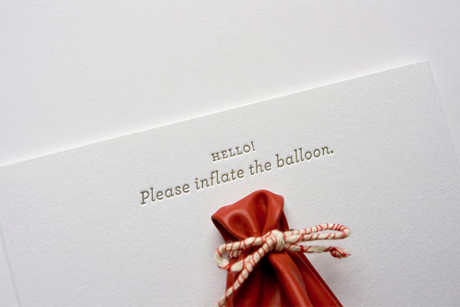 Reminds me a tiny bit of the birthday party invitations I did right here. The save the dates are executed much better though. Words can't describe how much I like this. Too bad I'm already married and can't use it! Cutest Save the Date ever!! Could also be cute for a birth announcement ..or any event! Very fun! i really like this idea! great find! What a lovely and creative idea. 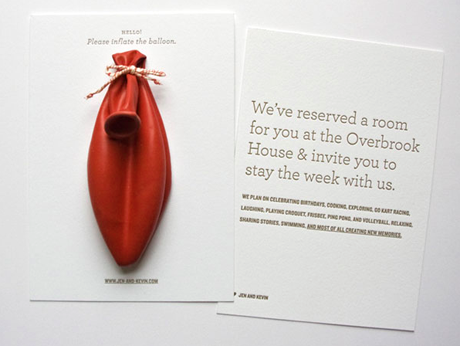 It would be so much fun to receive something like that! That's one of the coolest save-the-dates I've seen! This is the coolest idea! I'll have to tell my friends getting married. so cute! I think I have to do this for my daughter's birthday party this summer. I'm having an outdoor movie party and this would be so cute! LOVE IT!I've been thinking about it since you posted it, so I must HAVE to do it! that’s the cleverest idea ever!! i am so excited! !